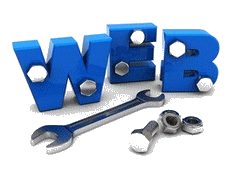 Aurora, IL based JG Web Designs provides web design solutions that are simple, effective and affordable. We serve clients throughout the greater Chicago area, including Cook, DuPage, Kane, Kendall and Will counties. Our perfect clients are small businesses, clubs, sports teams, parishes and church or civic organizations. Whether your small business needs a brand new website design or maintenance and upgrades for an existing website, check out our services and see how we can help you.